With about forty CDs to their credit and a busy concert schedule stretching back more than thirty years, the British piano duo Goldstone and Clemmow is firmly established as a leading force. 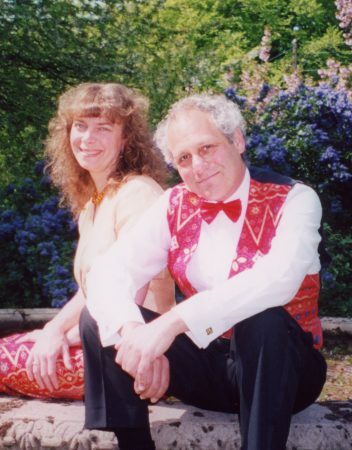 Described by Gramophone as ‘a dazzling husband and wife team’, by International Record Review as ‘a British institution in the best sense of the word’, and by The Herald, Glasgow, as ‘the UK’s pre-eminent two-piano team’, internationally known artists Anthony Goldstone and Caroline Clemmow formed their duo in 1984 and married in 1989. Their extremely diverse activities in two-piano and piano-duet recitals and double concertos, taking in major festivals, have sent them all over the British Isles as well as to Europe, the Middle East and several times to the U.S.A., where they have received standing ovations and such press accolades as ‘revelations such as this are rare in the concert hall these days’ (Charleston Post and Courier). In their refreshingly presented concerts they mix famous masterpieces and fascinating rarities, which they frequently unearth themselves, into absorbing and hugely entertaining programmes; their numerous B.B.C. broadcasts have often included first hearings of unjustly neglected works, and their equally enterprising and acclaimed commercial recordings include many world premières. The complete cycle (as a rare bonus including as encores Schumann’s eight Schubert- inspired Polonaises) was recorded on seven CDs, ‘haunted with the spirit of Schubert’ – Luister, The Netherlands. When Bingham and District Choral Society and Southwell Choral Society performed their joint concert of French music in the beautiful venue of Southwell Minster last weekend (7th May 2016), they were supported by a wealth of local talent. Each of the soloists performing with the choirs has strong links to the area. Abigail Broughton sang the solo soprano part in Poulenc’s Gloria, while baritone Stephen Cooper and treble Alfie Smith were soloists in the Fauré Requiem. Roger Bryan performed the Poulenc Organ Concerto. 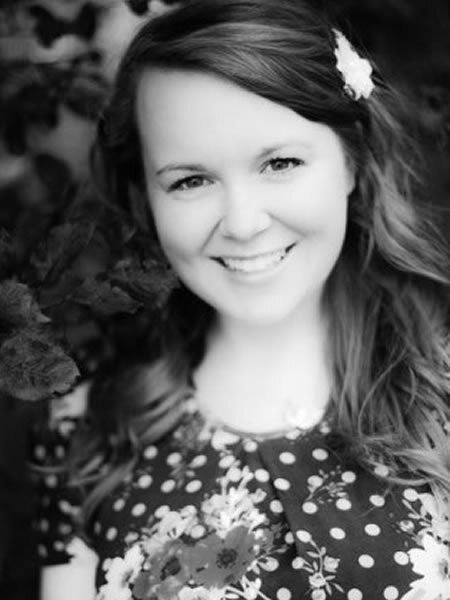 Abigail Broughton was born in Sutton-in-Ashfield and began singing when she was six. She attended the Minster School in Southwell and also became a principal soloist in the Cantamus Girls’ Choir before winning the title of Nottingham Young Musician of the year in 2009. Since then, she has continued to scale new heights. She graduated from the Royal Academy of Music in 2015 with a First Class Honours degree and is currently enrolled on the Master of Arts course. 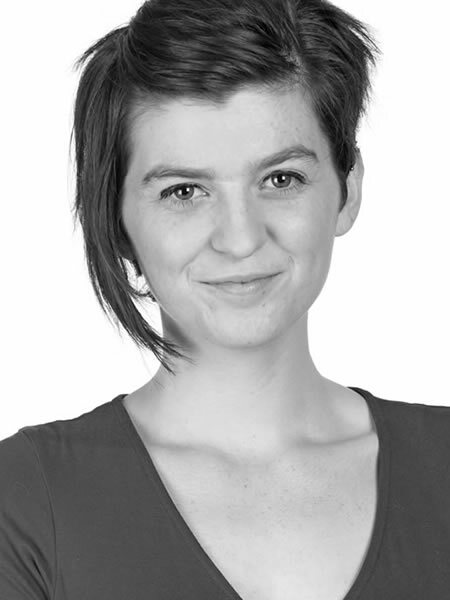 Equally at home on the stage or in the recital room, Abigail is developing an impressive career at home and abroad. She made her Aldeburgh Festival debut in 2014 and has performed in a number of concert venues in the UK. Last year she undertook a tour of concerts in Boston, New York, Leipzig and London in collaboration with the Juilliard School under the baton of Masaaki Suzuki. Stephen Cooper also has close links with Southwell Minster, where he is an Auxiliary Lay Clerk. He is a member of Nottingham Bach Choir and frequently takes solo roles in its concerts, including Christus in Bach’s St Matthew Passion at the Minster in 2012 and baritone soloist in Brahms’ German Requiem in 2013. In July this year, Stephen and his father John will be marking the centenary of the the Battle of The Somme in a Friday lunchtime recital at the Minster, to include songs by George Butterworth, who died at The Somme in August 1916. Alfie Smith, treble, is a pupil of Minster School and a chorister at the Minster. Organ soloist Roger Bryan, who lives and works in Newark, has had a distinguished career as a recitalist at home and abroad, performing with many leading orchestras. He has made an enormous contribution to musical life in the region. From 1992 until 2009, Roger was Master of the Song School at Newark. He was also for several years Musical Director of the Lincoln Chorale, Lincolnshire’s well-established chamber orchestra. He is currently Musical Director of Newark Choral Society and also of the Trent Chamber Academy, based on Newark’s internationally famous School of Violin Making. He was for many years the accompanist to the Bingham and District Choral Society, retiring from that role last year. Roger also has a considerable reputation as a choir trainer, conductor and teacher. With such a strong team of soloists and two fine choirs drawn from local communities, the concert filled the Minster with a glorious sound. The conductor was Guy Turner, who is Music Director of Bingham and District Choral Society and also a Lay Clerk at Southwell Minster. We have had two enjoyable and successful events this Spring Term: the Choral Workshop on 13th February 2016, led by Guy Turner, with Ed Turner accompanying, was well attended, and made a profit of about £450. Some of Guy’s Songs and Legends of Robin Hood was sung, and also some items from ‘European Choral Music’. An Evening of Comic Songs, again with Guy and Ed, filled Colston Bassett Village Hall to capacity on 5th March 2016. A light supper was served, the bar was kept busy, the raffle was popular, and Guy provided a relaxed and amusing programme of material. A profit of about £1100 was made. 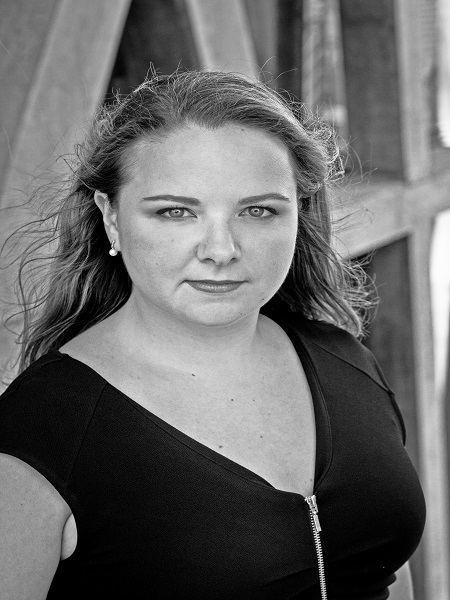 Soprano Vanessa Bowers graduated with an MA with distinction in Opera Performance, at the Royal Welsh College of Music and Drama in Cardiff in 2013, having previously studied at the Royal Academy of Music and ENO’s Opera Works. 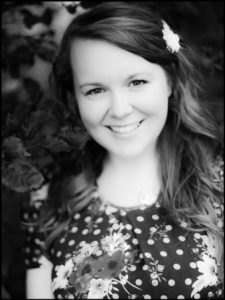 She recently sang the role of Tiny in Britten’s Paul Bunyan for Welsh National Youth Opera, for which she received critical acclaim. Other recent roles include: Susanna, Galatea (Winterbourne Opera), Frasquita (St Magnus Festival) and Female Chorus (RWCMD). Future performances include the title role of Snegurochka by Rimsky Korsakov for UCOpera and Chorus with Garsington Opera Festival. Abigail was born in Sutton-in-Ashfield and began singing when she was six. 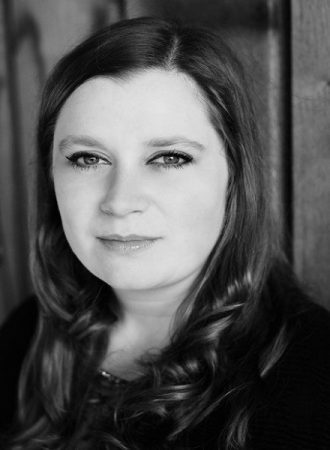 She attended the Minster School in Southwell and also became a principal soloist in the Cantamus Girls’ Choir before winning the title of Nottingham Young Musician of the year in 2009. Since then, she has continued to scale new heights. She graduated from the Royal Academy of Music in 2015 with a First-Class Honours degree and is currently enrolled on the Master of Arts course. 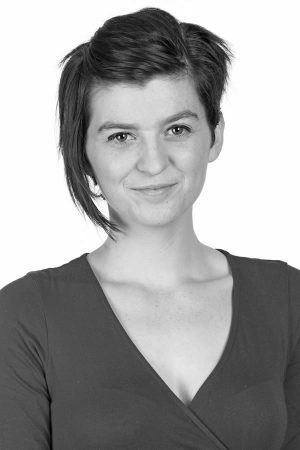 Equally at home on the stage or in the recital room, Abigail is developing an impressive career at home and abroad. She made her Aldeburgh Festival debut in 2014 and has performed in a number of concert venues in the UK. Last year she undertook a tour of concerts in Boston, New York, Leipzig and London in collaboration with the Juilliard School under the baton of Masaaki Suzuki. 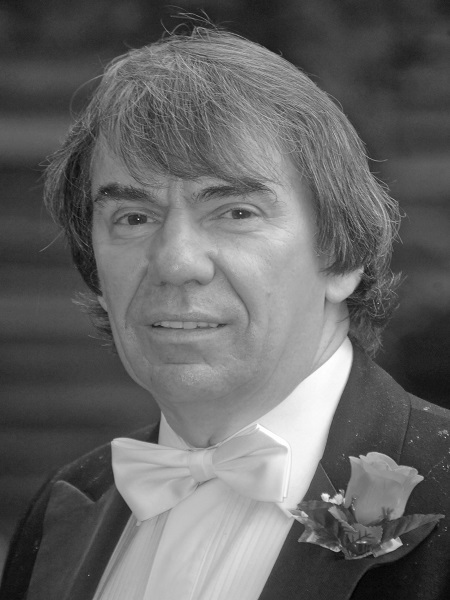 Roger Bryan, who lives and works in Newark, has had a distinguished career as a recitalist at home and abroad, performing with many leading orchestras. He has made an enormous contribution to musical life in the region. From 1992 until 2009, Roger was Master of the Song School at Newark. He was also for several years Musical Director of the Lincoln Chorale, Lincolnshire’s well-established chamber orchestra. He is currently Musical Director of Newark Choral Society and also of the Trent Chamber Academy, based on Newark’s internationally famous School of Violin Making. 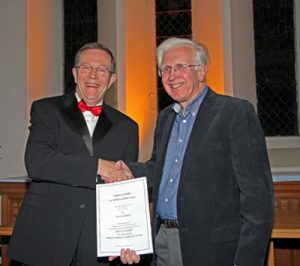 He was for many years the accompanist to the Bingham and District Choral Society, retiring from that role last year. Roger also has a considerable reputation as a choir trainer, conductor and teacher. 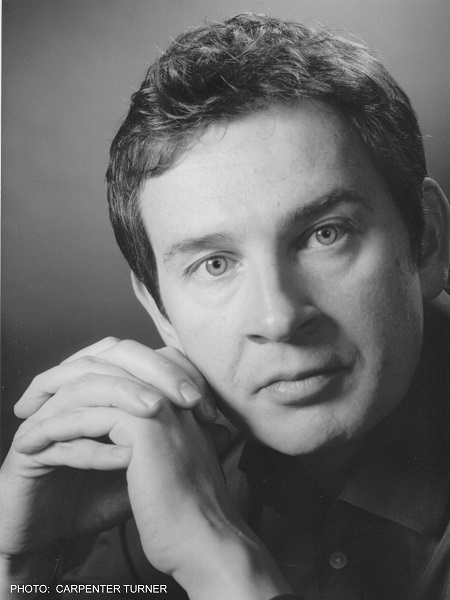 Colin Campbell is an established concert soloist and has appeared throughout the UK, in Europe, the U.S.A. and the Far East, in repertoire ranging from Monteverdi to Tavener. In the UK he has appeared at the Royal Albert Hall with the Philharmonia Orchestra and the Choir of King’s College Cambridge in Vaughan Williams’ Fantasia on Christmas Carols and with the Royal Philharmonic Orchestra in Mahler’s Eighth Symphony. At the Queen Elizabeth Hall Colin has performed with the Royal Philharmonic Orchestra in Elgar’s Dream of Gerontius and the City of London Sinfonia in Vaughan Williams’ Dona Nobis Pacem. At Westminster Cathedral he has appeared with the Bach Choir and the English Chamber Orchestra in Fauré’s Requiem and has performed Brahms’ Ein Deutsches Requiem at Symphony Hall, Birmingham. Colin’s operatic repertoire is extensive and he has performed with Kent Opera, English Touring Opera, Welsh National Opera, Aix en Provence Festival, Bermuda Festival and the Royal Opera House, Covent Garden.